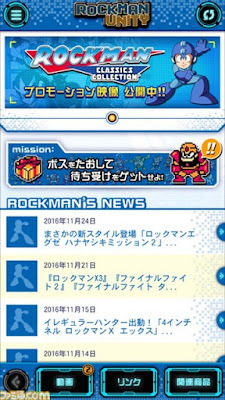 Each game can be synced with the newly released free Rockman Unity app, a news-feed of Rockman Unity in application form. 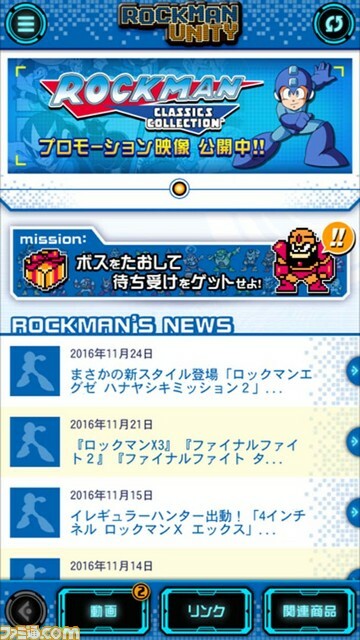 By completing certain missions in Rockman 1 to 6, you can unlock monthly rewards. For example, you can win exclusive lock screen wallpaper (pictured right) by defeating Rockman 1 Robot Masters within a certain time. I may be mistaken, but that piece looks like Shinkiro's handiwork. 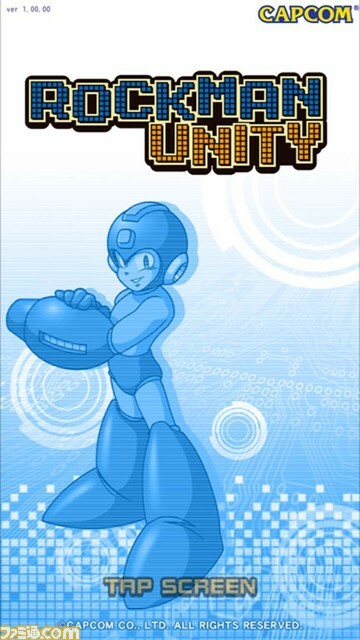 So far, both the Rockman Unity app and ports are exclusive to Japan. Only time will tell if Capcom US chooses to bring 'em stateside. I'd be surprised if they passed the opportunity up, though; having all six games on mobile is a great way to target new players. Also, I must emphasize these ports and Unity app are not the 2017 mobile Rockman game. That title, whatever it is, is expected to launch sometime after April 2017. Keep it cool, relax, maintain an upper chin. Yeah sounds good. Would be nice if Capcom would keep up with the times and make a new game, would be nice. I don't even care if it is 8-bit at this point. 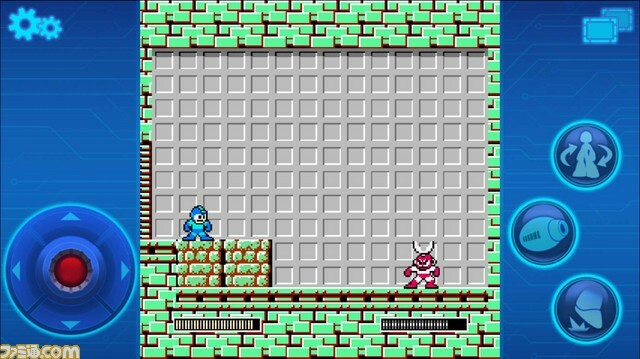 What if Mega Man 11 is an 8bit grayscale, gameplay modeled after the 1st Game Boy game? I should have said the 2nd one, featuring Quint. Personally I don't believe the source codes to the Game Boy games were lost. CAPCOM just don't want to finished the Mega Man Mania game. There must be some kind of Rockman archive in CAPCOM of Japan HQ and those source codes are buried somewhere inside there. Just because people back things up now doesn't mean they did in the past. It also doesn't mean external issues can't happen. Seriously, I expect most companies don't have the source codes for many of the games made in the nineties, which is why even larger games, such as the GCN version of Ocarina and the Zelda Collection, are simply ROMs dumped in emulators running from the disc. Even Square Enix didn't have access to the original Kingdom Hearts materials and code when making Kingdom Hearts 1.5 HD Remix, they had to build the game again from scratch due to the code being lost, and that's pushing into the 2000s. These things happen, just because they are larger companies doesn't make it an impossibility. Yes, I get it. They might not keep a back up copy, hardware failures or misplaced it somewhere else but back then, they announced the Mega Man Mania alongside to the Anniversary Collection. Meaning that they're actively tinkering with the source code within that timeframe to completed it (pretty sure they've got several builts too). The GBA boxart was already revealed and the game was set to be released sometime in 2004 but was delayed even further. Even the 5th game was in color. Maybe they lost the source code after this point onwards? I don't know, it doesn't make any sense when they already adapted the original source codes into the GBA. Unless it was the GBA source code that they're referring to but not the GBs? Yet they somehow manage to keep the source codes for the NES (but not the GBs? ), ported it to mobile and added Roll as a playable character in 2007/2008 edition and now, these Android/iOS with functions like Auto Fire, Auto Charge and Adjustable Gameplay Speed. Emulation perhaps? I don't deny what you said though if that was the case. I don't have anything negative to say about this, sounds cool if you're heavy into your IOS device. Personally Mega Man games require to much precision for me to bother with not using a pad though. Definitely not something I want or need, but if it gets more people playing and loving the series, then great! Huh. I'd never thought of this actually. I've mentioned before that the first 6 NES games have been re-released more times than most people are even aware of, but since Mega Man 2 was already on ios devices, I didn't expect them to go back and add the others. This is great news! I'll get those on my Android and play Mega Man everywhere! I think I'll just stick with my 3DS and Xbox One copies of Mega Man Legacy Collection rather than play those games on a device with no psychical controls whatsoever. They should port Chokkan! Rockman and Mega Man: Rush Marine too. Stop these Docomo onlyism! Also, bundled the mobile games like Rockman GP, Rockman Tennis and the rest into one big collection something like WarioWare but knowing that this is CAPCOM, it's not going to happen. You stinks Capcom of Japan! Oh, wow! The 8,529,660,235,887th re-release of decades-old games we've all played to death. How exciting! Well, at least it's not yet another useless hunk of plastic for wasteful morons that just sits there doing nothing. I think I'll just stick with the Megaman legacy collection instead. Me too. This is unnecessarily! Megaman/Rockman 11 anybody ? COME ON, CAPCOM! Sighing. Maybe if you wait for one moment and stop "sighing", maybe it'll happen. I don't mean to criticize, but why not just release the Legacy Collection for mobile instead of each game independently? ARRRGH! ARE YOU KIDDING ME?! Ok, so this is alright, but I already own the classic Mega Man games on like 4 platforms!! I appreciate the enthusiasm Capcom, but I, no, WE need a NEW Mega Man game! 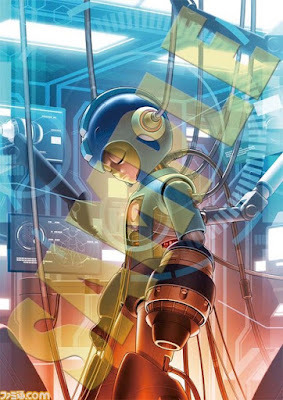 I really hope this isn't their "plans" for Mega Man on mobile, or I will be very dissapointed. Dude, not getting a rerelease would absolutely NOT get us more new games, thoses are two perfectly different things. also, of course you own theses games, i do too and some other people here on this website probably do. but you now who does'nt? the largest part of people possessing smartphone. a part of these people where not even born when theses games came out (megaman is 29 years old today). good occasion for them to discover the license. you also have the people who played megaman as kids and stopped playing video games at some point. they don't own 3ds or somethin. Won't you allow them this touch of nostalgia? Nope, still play video games today. I understand that the introduction to Mega Man on smartphones is a good way to introduce Mega Man to a new audience. But they did that in Smash. And Legacy Collection, on 3DS, PS4, and Xbox One. If someone doesn't own one of those, they own another. Mega Man X and Mega Man 2 are already on mobile. And I payed for them. So now I (and many others I'm sure) have to pay for Mega Man 2 again? In conclusion, I see the point, but there is no point. If this keeps up, the old fans will be left waiting for a new game, and new fans will get caught up and wait for a new game. Marvel vs Capcom Infinite showed potential for Mega Man. Now all Capcom has to do is make a new game. I'd much rather have them do a runner game. "Target Acquired" already proved a jump 'n' shoot runner not only works, but is super viable. Come on, those guys built that game around Mega Man style mechanics. Just freaking do it. Capcom already sort of tried a runner of their own with the Xover runner sections. Maybe not, but I wouldn't underestimate touch controls. They can be surprisingly viable for traditional games. Besides, Bluetooth controllers like MOGA that are made for playing smartphone games are pretty cheap. It's something, I guess. At least that preview lockscreen design looks really nice. By the way, the Famitsu article says the challenges are "1日1回", so once a day. Does that mean you can only attempt them once a day or are the missions + rewards a daily thing? not for me since i already replay it on 3ds or emulator. might be useful for people who like playing some game to kill time with their phone. also, maybe a ocasion for new people to start the series, there's much more people playing game on thei smartphone. Oh my god... how many times are they going to release these same games onto multiple platforms? I already own these games I don't know how many times. At this point, who cares about this? this is obviousely not for us. smartphone game are for all theses people who play casualy on their smartphone to kill time. most of theses people who, contrary to us, don't already own all megamans games on all and every platform possible, heck most of them actually now megaman only by name. just welcome new potential players on the fanbase. Not getting rerelease of the old games on smartphone WOULD NOT get us more new games, it would just mean no rerelease. Also, i know some guys who are interested in megaman without being die-hard fan like us ('cuz i assume you're a fan since you're here), he have played Zero on GBA and ZX on ds since he owned theses two consols, but he have never been that interested trying X or classic (nothing against it, he's not just that eagier to play), which is understandable. with smartphone realease, he is curious to try it. after all is smartphone is always in is pocket so why not playing some Megaman on his way to highschool. Totally agree, they`ve been pulling this non sense for years now, re-release after re-release, expecting Megaman fans to pay for games they already own,they`re definitely not getting my money, its bad enough they re-released Resident Evil 4 HD 5 - 6 times. Seriously. That's enough out of you Capcom, just enough already. Sorry Capcom, but I'm not buying any more re-releases or merch until one of the following are released: ZX3, X9, MM11, SF4, or Legends 3. Release one of those, and I will consider buying something from you again. There's something suspicious about the sole gameplay screenshot that's provided, namely the health bars. I wonder if it's going to be the previous mobile port with playable Roll in it?